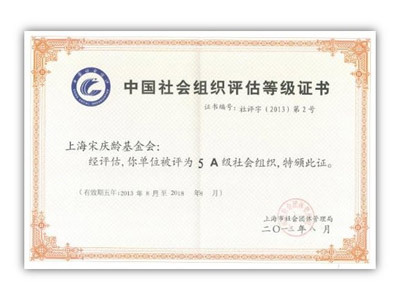 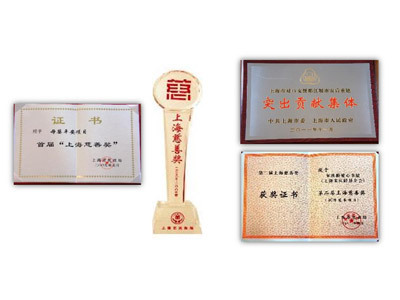 The Shanghai Civil Affairs Bureau conferred on the Shanghai Soong Ching Ling Foundation the title of “5 A Social Organization in China” in September, 2013. 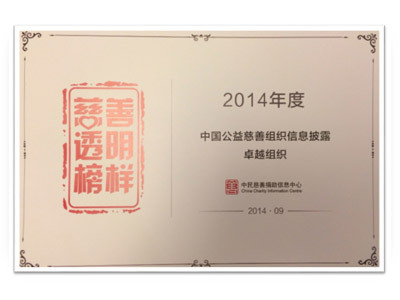 At the 2nd National Charity Projects Exchange Conference held on September 22, 2013 by the Ministry of Civil Affairs, SSCLF was cited as an outstanding example of transparency in charity work and received the title “2013 Charity Transparency Model”. 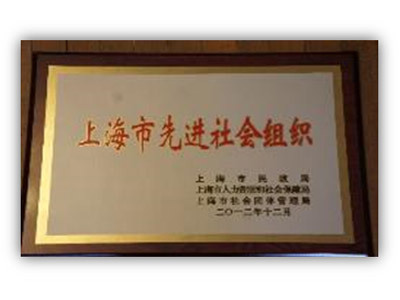 SSCLF was selected from 1,000 representative organizations. 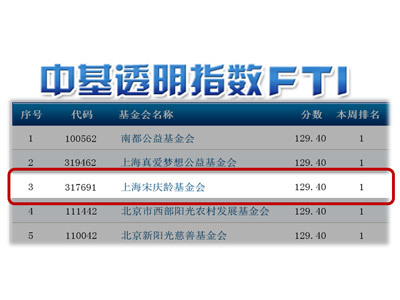 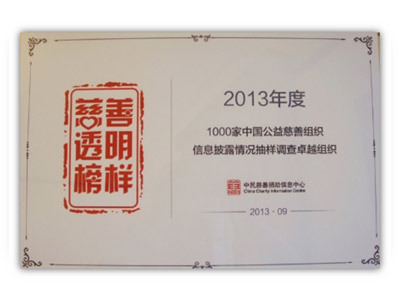 Shanghai Soong Ching Ling Foundation continued to receive the title “2013 Charity Transparency Model”. 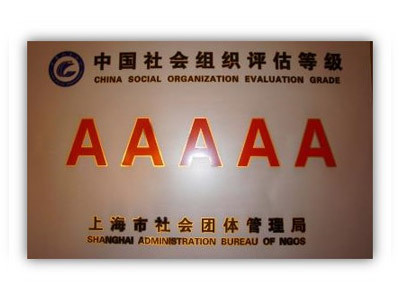 issued by the Shanghai Municipal government and Shanghai Civil Affairs Bureau.